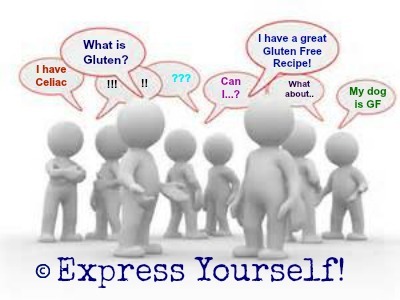 This gluten free forum is an interactive way to express yourself in a gluten free way! It is so important to feel that we have a voice when it comes to our lifestyle. The transition can be so challenging and it can change us deeply. Isn't it great to know that you are not alone? There are others out there who are going through the same thing! 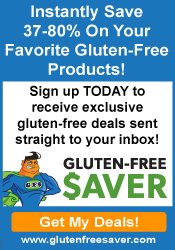 This forum is specially designed for YOU, my visitor, to have your say from anything to adjusting to your new gluten free lifestyle to what it's like to be a gluten free expert, having lived with your condition for years. Anything you want to express and share with fellow visitors, you can do here! Simply add your expressions in the content form below. As you do so, you will be creating a page of your own that others can see. Add pictures if you would like. It makes it much more interesting. 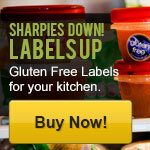 My objective with this forum is to form a community of Gluten Free-ers that will support and encourage one another! Do you have a question, thought, story or even a great recipe you would like to share? Feel free to do so here without judgement. Just encouragement! This forum is great for interaction with other visitors to share your knowledge or to ask a question. It's fun, free and interactive because you are building your own page. Go Ahead! Express yourself! Looking for an outlet to share your Passion? Building your own website may be for you! !